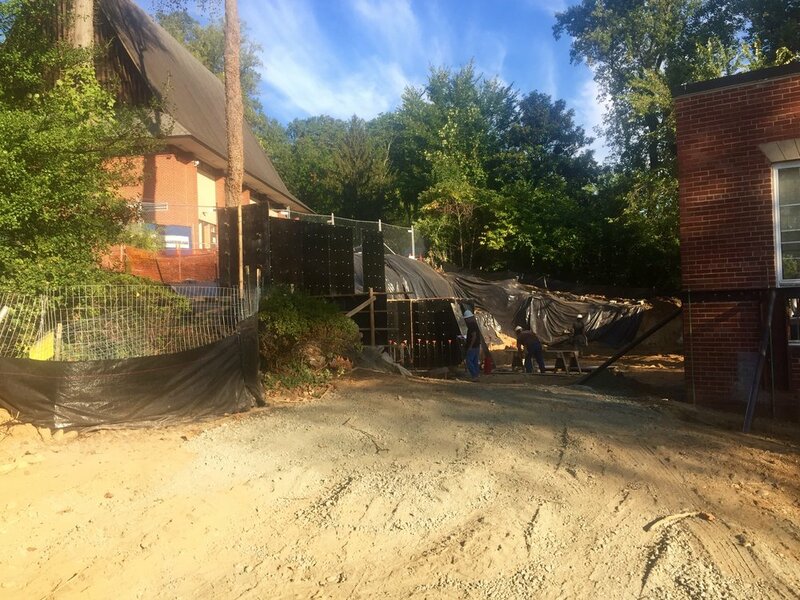 We've had a great second week of school, and several days of nice fall-like weather has been great for our construction crews as they continue to make great progress on our project. The week started with the beginnings of the foundation for the addition, and in no time at all, the starts of walls were in place. It is great fun to watch the transformation happening each and every day! This week, our Kindergarten students made and delivered cards to thank the team from Chamberlain Construction for their hard work building our new school. The full construction team, including our architects from Rust Orling, came for a walk-through to see all the exciting progress as well.